E-Business Services. To better serve you, the Department of Revenue (DOR) offers businesses the opportunity to complete the Joint Tax Application online at www.AZTaxes.gov. Once the license registration is completed and the business is registered to use the site, businesses may file and pay their transaction privilege, use, and withholding taxes online. 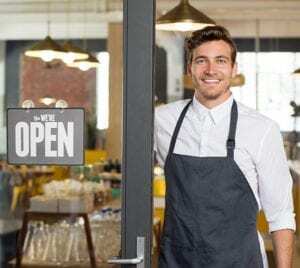 Arizona Commerce Authority Small Business Services has a free online Checklist Program designed to help you navigate quickly and easily to information on what you need to know, who you need to contact, and where you need to go to license your business in Arizona. It also includes contact information to statewide resources and assistance to accelerate your business growth. Visit www.azcommerce.com/smallbiz. Bingo Tax Licenses are required of, and tax is imposed on, bingo operators within the state. For information, contact the DOR, Bingo Section. City Privilege Tax is generally imposed throughout the state. The DOR collects the tax for most cities; therefore, no additional license application is necessary. Businesses pay the license fee for cities in which they do business, in addition to the applicable state license fees. Please note that some of the cities license and collect their tax independently. Please see the Arizona State, County, and City Transaction Privilege and Other Tax Rate Tables for the tax rates. This form also lists the cities that license and collect their tax independently. There are some differences between the state and local authorities in the taxability of transactions. For questions regarding taxability and licensing, contact the agency responsible for collecting the tax. Fees for city licenses vary. Corporate Annual Report filing and registration with the Corporation Commission are required for all profit and non-profit corporations. Contact the Corporation Commission for details. Corporate Income Tax for a taxable year is 6.968% of taxable income or $50, whichever is greater. Estimated tax payments are required if the taxpayer’s Arizona income tax liability for the taxable year is $1,000 or more. Electronic Funds Transfer (EFT) is the required method of payment for corporate estimated tax payments if the taxpayer’s Arizona income tax liability for the preceding taxable year was $20,000 or more. Requirements for completion of the department’s authorization agreement and for voluntary participation in the EFT program are the same as for transaction privilege tax listed in this publication. NOTE: Taxpayers required to make corporate estimated payments via EFT that fail to do so will be subject to a penalty of 5% of the amount of the payment not made by EFT. See ARS § 42-1125(O). Tax return due date. A corporate income tax return must be filed with the DOR. The return is due by the 15th day of the fourth month following the close of the taxable year for regular (“C”) corporations. For “S” corporations, taxes imposed are due on the 15th day of the third month following the close of the taxable year. Delinquent tax returns and payments, except estimated tax payments, are subject to the same penalties and interest as for transaction privilege tax listed in this publication. Late or underpaid estimated tax payments are subject to underpayment penalty and interest. The underpayment penalty is equal to the interest that would accrue on the amount not paid for the period of underpayment, not to exceed 10% of the amount not paid. Sole proprietors report business income on the Arizona Individual Income Tax Return. The starting point for an individual is the individual’s federal adjusted gross income. The individual must complete his or her federal return before beginning the Arizona return. Individuals whose Arizona gross income exceeds $75,000 may be required to make estimated income tax payments. License and Registration may be obtained by using the Arizona Joint Tax Application (Form JT-1) to apply for Transaction Privilege Tax, Use Tax, and Employer Withholding and Unemployment Insurance. The application is called “joint” because it is used by both the Departments of Revenue and Economic Security. It allows you to apply for any of the listed licenses and registrations on a single application. The application is available at our website. To apply for other types of licenses that are issued by state agencies, contact those agencies directly. Remember that many cities require businesses to obtain annual permits in order to conduct business within the city limits. Some people who are required to obtain a permit may not be required to obtain a license for transaction privilege tax. Luxury Tax – Liquor requires wholesalers, microbreweries, and domestic farm wineries to file a return each month and remit luxury tax on spirituous, vinous, and malt liquors. Forms may be obtained from the DOR Comptroller’s Office. Restaurants, bars, and any other businesses planning to sell alcoholic beverages (retail and wholesale) must be licensed by the Arizona Liquor License and Control Department. Luxury Tax – Tobacco applies to businesses wholesaling cigarettes, cigars, or other tobacco products. Anyone who manufactures, produces, ships, transports, or imports into this state or in any manner acquires or possesses cigarettes without stamps or other tobacco products upon which taxes have not been paid, for the purpose of making the first sale, must be licensed. The license fee is $25 and is renewed annually. Partnerships doing business in Arizona must file Arizona Form 165 to determine what partnership income is subject to Arizona income tax. Each partner is subject to Arizona income tax on his or her pro rata share of partnership income. Personal Property Tax is reported to your local county assessor’s office. Businesses must list all personal property (other than motor vehicles) used in the business. Please contact your county assessor for more information. Taxpayer Bonding may be required in some cases. For details, please see the Taxpayer Bonds publication, available at our website. Delinquent taxpayers may be required to post bonds to protect the state against failure to pay transaction privilege tax or withholding based on the current or previous tax liability. Contractors must be bonded prior to issuance of the transaction privilege tax license unless previously licensed or employing in this state with a good record of tax filing and payment, or if there is no potential tax liability on the proposed project. The type of contracting activities performed determines the amount of bond required. In addition, out-of-state and new contractors must submit bonds for each construction project valued at more than $50,000 prior to the issuance of building permits. Contractors may qualify for exemption from the bonding requirements. Please see the bonding publication for details regarding exemptions. Due to the bonding requirements noted above, license applications for contractors cannot be completed online. Once the license and bonding requirements have been met, contractors can then register to use www.AZTaxes.gov to file and pay their taxes. Transaction Privilege Tax (TPT) is imposed on the seller for doing business in the state, although the tax may be passed on to the customer. Various business activities are subject to transaction privilege tax and must be licensed. Those activities include retail sales, restaurants/bars, hotel/motel (transient lodging), commercial lease, amusements, personal property rentals, contracting, contracting – owner/builders, severance (metal mining), transporting, nonmetal mining, job printing, publishing, utilities, communications, and private (rail) car. A transaction privilege tax license must be issued for each location at which business is conducted. Businesses with multiple locations or business lines can opt to license and report for each location separately or have a consolidated license (and report aggregate sales). Use the Arizona Joint Tax Application to apply for your transaction privilege tax license. The cost for each license/location is $12. Read more more on AZ TPT Tax here. Unclaimed Property consists of items such as payroll/vendor checks, bank deposits, and insurance proceeds that have remained unclaimed for a specified period of time. The abandonment periods range from one to fifteen years, depending on the type of property. Businesses holding these items are required to file an unclaimed property report annually and remit the funds to the DOR. Unemployment Insurance requires employers to register with the Department of Economic Security. Employers use the Arizona Joint Tax Application (Form JT-1) to register for both withholding and unemployment insurance. For unemployment tax rates and other information, please contact the Department of Economic Security. New Hire Reporting requires all public, private, nonprofit, and government employers to report every newly hired and rehired employee within 20 days of hire to the State Directory of New Hires, a program of the Arizona Department of Economic Security, Child Support Division. For additional information regarding the new hire reporting requirement for an employer, please contact the Department of Economic Security. Use Tax is the companion tax to the transaction privilege tax. Businesses (or individuals) making out-of-state purchases for their own use – not for resale – on which no tax is paid, are required to pay the use tax. Therefore, businesses planning to use, store, or consume goods brought into Arizona on a regular basis must register for use tax using the Arizona Joint Tax Application (Form JT-1). Out-of-state vendors conducting business in the state or making direct sales into Arizona are also required to be registered and to collect and report the tax. Payment and reporting requirements are the same as for transaction privilege tax. The Arizona State, County, and City Transaction Privilege and Other Tax Rate Tables identify the use tax rates for the state and cities. Waste Tire Fee is paid on the retail sales of motor vehicle tires, including tires for automobiles, motorcycles, trucks, semi-trailers, or other vehicles operated on the road. Fees are reported on the Motor Vehicle Waste Tire Fee (Form TR-1) and paid to the Department of Revenue on a quarterly basis, due the 20th of the month following the end of each quarter. The waste tire fee must be listed separately on any invoice. The fee is charged at a rate of 2% of the retail sales price, up to a maximum of $2 per tire. On the sales of new vehicles (where the price of the tire is not listed separately on the bill), the fee is $1 per tire. A credit of 10¢ per tire is allowed to be kept by the seller. Withholding of Arizona income tax is required for businesses or individuals who hire employees. There are a few exceptions to this requirement. Businesses considering the use of “contract” workers are cautioned to consult with their tax professional for advice. Use the Arizona Joint Tax Application (Form JT-1) to register your Employer Identification Number for withholding and to begin your unemployment insurance registration (there are no registration fees). Withholding percentages are based on gross taxable wages. “Gross taxable wages” is the amount that meets the federal definition of “wages” contained in Internal Revenue Code § 3401. Generally, gross taxable wages are reported in box 1 of the employee’s federal Form W-2 at the end of the calendar year. The available withholding percentages are 0.8%, 1.3%, 1.8%, 2.7%, 3.6%, 4.2%, and 5.1%. In addition to electing a withholding percentage, employees may also designate an additional amount to be withheld from each paycheck. Employees elect the applicable percentage of Arizona withholding on Form A-4, Employees Withholding Allowance Certificate, available at our website. Due dates for the quarterly returns (Form A1-QRT) are April 30, July 31, October 31, and January 31 for the preceding calendar quarter. Payments are due at the same time as the quarterly return if the average amount of Arizona income taxes withheld in the preceding four calendar quarters does not exceed $1,500. If the average amount of Arizona income taxes withheld in the preceding four calendar quarters exceeds $1,500, the withholding payments are due at the same time as the employer’s federal withholding deposits. The employer must determine its Arizona withholding payment schedule for each calendar quarter by calculating the average amount of Arizona income taxes withheld in the four preceding calendar quarters. Employers are granted an automatic 10 day extension to file the quarterly reconciliation if their payments for the quarter were made timely. Annual withholding may be allowed if the amount collected and payable by the employer in each of the preceding calendar quarters did not exceed an average of $200. Electronic Funds Transfer (EFT) is the required method of payment for withholding if the employer’s average quarterly withholding liability for the preceding calendar year was $20,000 or more. Requirements for completion of the department’s authorization agreement and for voluntary participation in the EFT program are the same as for transaction privilege tax listed in this publication. The annual reconciliation (Form A-1R) is due February 28 of the year following the calendar year for which Arizona withholding payments were made. The completed form is submitted with the state copy of Forms W-2. Penalties for late filing and late payment are the same as for transaction privilege tax listed in this publication.